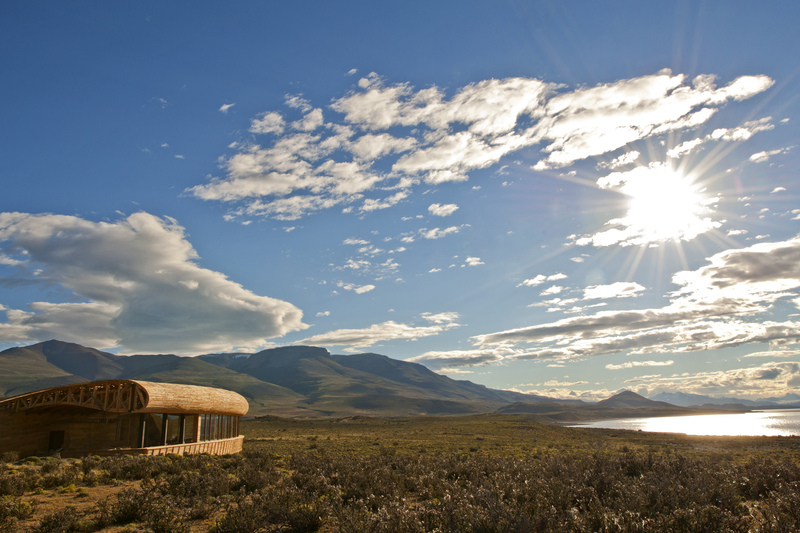 Positioned in a remote spot just outside Torres del Paine National Park, Tierra Patagonia is a sustainable lodge, known worldwide for its innovative architecture, which blends naturally into the landscape. A beautifully pristine environment, this now revitalized pampa has benefitted from our conservation efforts and focus on minimizing our footprint, from the daily operation within the hotel, to excursions across the National Park. Tierra Patagonia uses LED lighting and controls its thermal efficiency to reduce the cost of energy. We are also evaluating future renewable energy projects and plan to incorporate a kitchen-garden to help stock our kitchen. 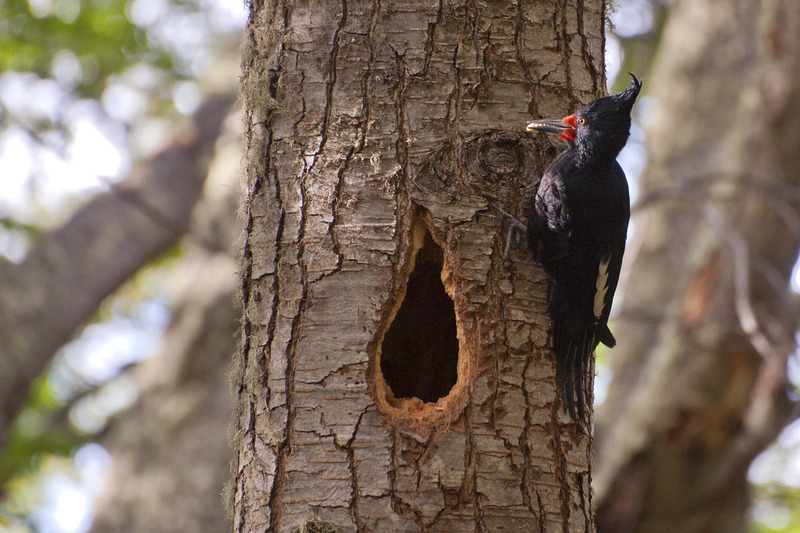 Additionally, in association with the Chilean Tourist Board and Forestry Association, Tierra Patagonia actively supports an ambitious reforestation project which aims to plant one million trees across Chilean Patagonia’s national parks. In addition to our own financial and logistical support, we have also raised awareness among Tierra’s residents and guests, helping to promote the reforestation of this region as a globally significant cause. Since its conception, Tierra Patagonia was put in the hands of Chilean architect Cazú Zegers, whose expressive design approach is closely linked with Chile, its land, scenery and traditions. The silhouette of the building appears as if drawn by the wind itself; a force of nature that is characteristic of Patagonia. It’s anchored to the ground with stone slopes and covered entirely with washed lenga wood, taking on a silvery, weather-beaten finish often seen on typical buildings found throughout the region. The aim of all this, is to provide a feeling of both shelter and intimacy with the land. During the construction of Tierra Patagonia, to manage any environmental impact, landscape artists Catalina Phillips and Gerardo Ariztía, removed all the on-site vegetation, temporarily nurturing it in a greenhouse before replanting it around the hotel once the building work was complete. Today, we see success of this work with visits from Guanacos, ñandús, native birds and foxes, who make their homes here. For our guests, we also created a pathway that leads to the banks of the surrounding lake, so they can enjoy the beauty of Lake Sarmiento with its ancient limestone thrombolites without harming any vegetation along the way. 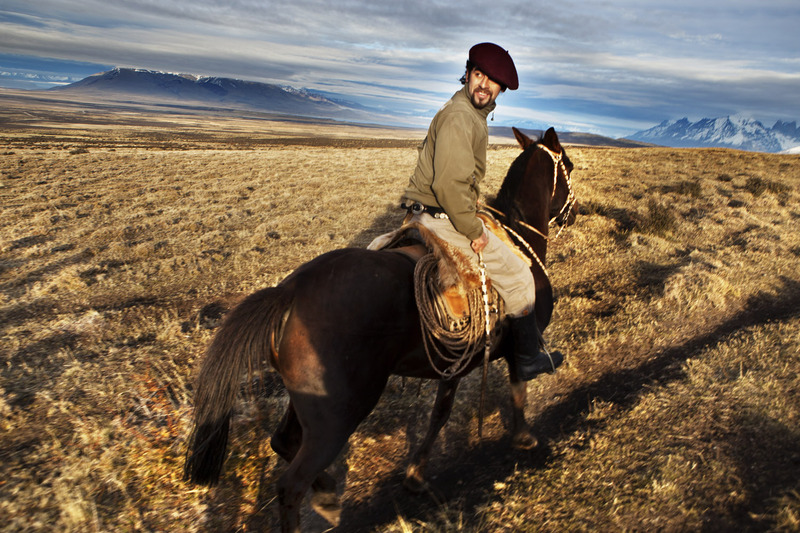 Tierra Patagonia’s excursion list includes a range of tours which offer guests the chance to get to know what ‘estancia’ or ranch life is like, exploring Magellanic customs and local traditions, sharing a Patagonian ‘asado’ (barbecue), or riding on horseback across the pampa with the gauchos. 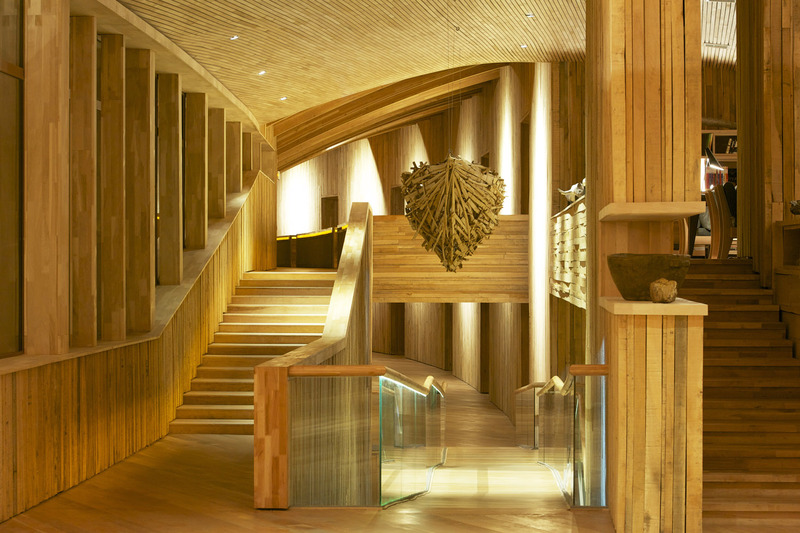 Patagonian culture also features in the hotel’s interior design, through handicrafts and artefacts from across the region. In addition to our wall map, we have three ‘history windows’, dioramas made by the Chilean artist Matilde Huidobro, which represent what life was like for the first settlers and explorers of these lands: Sarmiento de Gamboa, Hernando de Magallanes, and Charles Darwin. We offer a reduced rate for our accommodation through the Smartrip Foundation, who carry out social projects which are aimed at supporting local communities and culture, while limiting unnecessary urbanization.